1. Smoke-Free Housing. If you haven’t already banned cigarette smoking in your rental properties, 2014 is the year to do so. If that’s not enough incentive, smoking bans are becoming law in many major cities. Smoke-free policies take time to implement, so stay ahead of the trend by adopting a smoke-free policy for all incoming tenants in 2014. A smoking ban must be included in the new lease agreement. Existing leases can only be amended if the tenant agrees. Otherwise, you will need to wait for the new lease to change terms. Mention the policy in your rental ads, and include smoking preference in any prequalifying interviews. 2. Ready for Pets? While it is not required that landlords accept pets, the majority of tenants will ask for one. Others will bring them in after the lease is signed, forcing you to decide whether to boot an otherwise good tenant. While not considered pets, companion animals have become a growing trend, and this year a number of landlords faced discrimination charges by attempting to limit access. Reserve the right to evict a tenant who won’t abide by the pet rules rather than focusing on getting rid of the pet. Chances are this owner will simply get another animal that will misbehave, because the problem may be the level of supervision. DO NOT apply any pet policies to a tenant with a disability who has been prescribed a companion animal. 3. Prepare for Inspections. This year alone, dozens of cities across the country passed ordinances requiring rental property owners to undergo property inspections. Budget for inspection fees. Any local ordinance that may affect your property will state the frequency of the inspections, and the basic costs — fees have been ranging between $25 and $150 per unit, with inspections annually, or up to every three years. In addition to registration fees, landlords also must pay the costs associated with items flagged during an inspection, as well as a follow-up inspection. 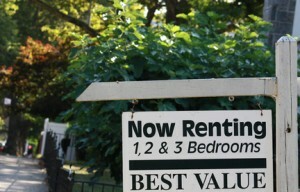 A number of cities have set up websites that report landlords with code infractions. Put effort into keeping rental units up to code, so that properties do not fall onto problem property lists. Not only does that create longer vacancies, but it can make a property harder to sell. Keep an eye on tenants throughout the term of the lease. Problem tenants who struggle to pay rent will sometimes bring in code enforcement officers in order to dodge and weave while they live rent-free. Also, landlord can be charged for damage that was caused by the tenant. Keep good records of move-in condition in order to claim reimbursement from the tenant. Along with inspection requirements, many cities now have nuisance laws — sometimes called “three-strikes” laws — that allow officials to rescind a landlord’s rental license if a tenant commits crimes or causes disturbances on the property. In addition to running tenant screening reports, be sure to speak with previous landlords and ask whether rental applicants under consideration have been disruptive in the past. Electronic banking and bill payment is more popular than ever. Many tenants prefer the online method or automatic withdrawal over sending rent checks in the mail. Bucking this trend can lead to late, lost or stolen checks. Electronic payment methods, including automatic withdrawal, electronic checks and credit card payments can keep cash flow running smoothly. Unfortunately, this epidemic continues to plague landlords and tenants alike, particularly in metro areas. Some states and local governments have passed rules regarding how bedbug infestations are to be handled, splitting responsibilities between tenants and landlords. Review your policies on pests, and consider whether new bedbug laws require that you update your rental application or lease agreement. In any event, encourage tenants to report infestations as soon as suspected to avoid an all-out seige of your property by these surprisingly resilient pests. Where you do you stand on E-Cigarettes? There is no second hand smoke with these, only water vapor. I recently read an article that said state governments, like New York, are grouping them into the same laws as regular cigs. I imagine that is because they want to be able to tax them the same and such, but where do you stand on allowing them in your rental units? I would love to include smoking ban rules in my new lease agreements, but I thought it was against the law due to discrimination in Florida. Any comments will be appreciated. That’s a pretty common concern for landlords, but smokers aren’t usually protected by discrimination laws. On the other hand, nonsmokers can claim that they are being injured by secondhand smoke. For more information about how to implement your smoking ban in Florida, you could visit http://www.tobaccofreeflorida.com/Contents-13/Information-For-Landlords-and-Property-Managers-/.